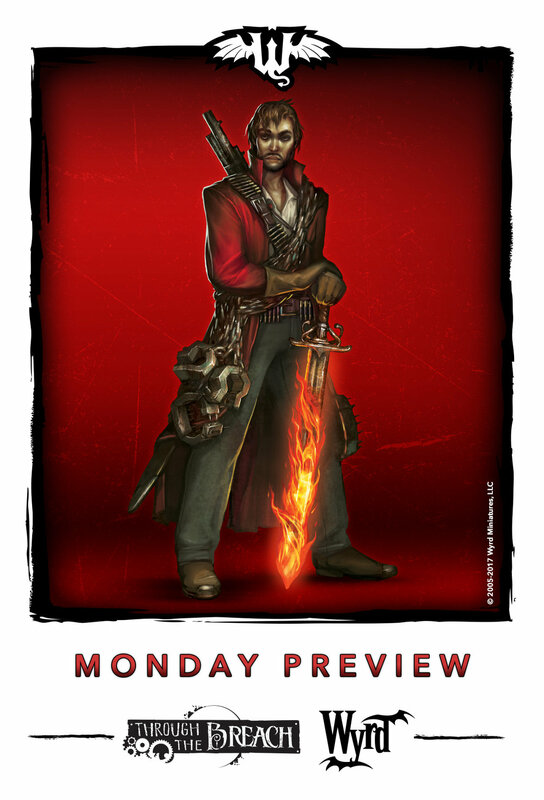 After a cold weekend here, it's time for the Witchling Handler to warm us up as a part of our Monday Preview! That sword looks nice and toasty, but I wouldn't get too close! Let's take a peek! Witchling Handlers are an advanced pursuit in the upcoming Through the Breach supplement, Above the Law. As one might expect, Witchling Handlers can order Witchling Stalker subordinate characters into combat, providing a very effective (and very volatile) fighting force. When a character becomes a Witchling Handler, she also gains a runed weapon that not only ignores the Incorporeal rule but also allows her to command all of her Witchling Stalkers with a single action. Furthermore, a bit of concentration while holding the runed weapon allows the Handler to discern the direction and distance to every Witchling Stalker under her control, which will no doubt open up some interesting "hide a Witchling in a crate" plans on the tabletop. Beyond an increasing number of loyal Witchlings, Handlers gain a resistance to Burning (an occupational hazard of working with minions that explode in fireballs when killed), triggers to immediately end magical conditions, and an increased ability to wield fire magic. Those Arcanists will never sleep peacefully again! Come check out our forums to discuss!